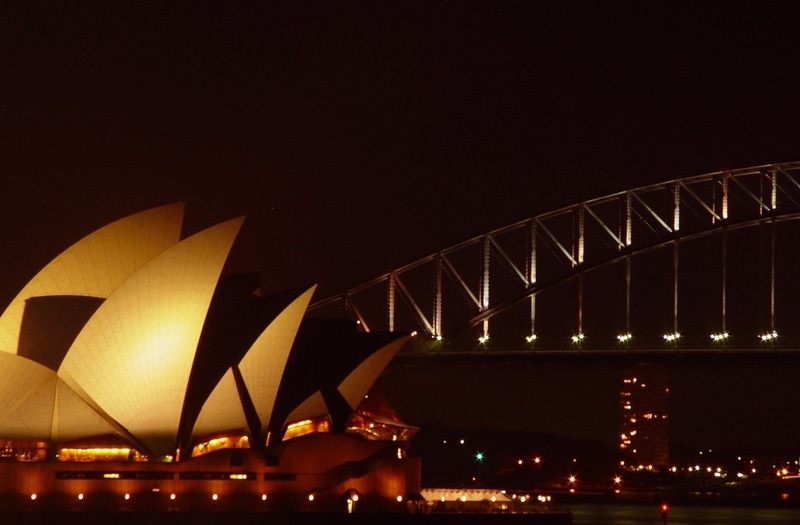 Sydney's Opera House and Harbour Bridge make dramatic beauty of curves. I was trying to take wide angle photos in the Easter Saturday night, absorbed by a 'traveler's attraction'. But I found the real beauty of this amazing building resolutely zooming in and cutting the edge of ordinary frame. It was my Easter holiday trip to Sydney, from Melbourne by car. And alone.